Always up for some fun! Disclosure: Disclosure : This is part of a sponsored collaboration with the California Milk Processor Board and Latina Mom Bloggers. However, all opinions expressed are my own. We love the weekends and holiday breaks at our home. It’s our time to go out and have fun exploring. However, sometimes our long breaks and weekends can throw off our routines. It is really important to keep our kiddos on routines, even on the weekend. I was reading through the new TomaLeche.com website and read this great post reminding me of the importance of having set routines for our kiddos. It’s important to make sure that no matter what happens, we stay to those routines. I have to admit that I struggle with this on the weekends. I want to play and through routines out the door. I notice that when that happens, Mondays are rough on all of us. 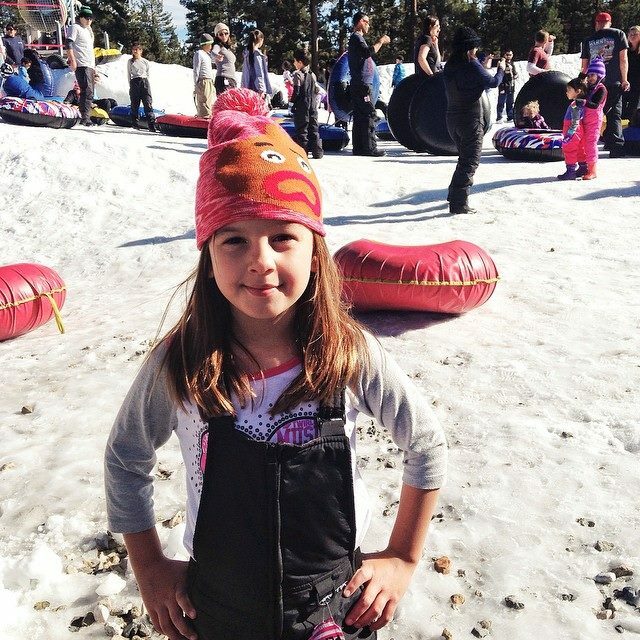 Keeping a routine is crucial in helping our kiddos do well in school. I loved all of the tips and reminded me to make sure to follow all of them, even on the weekends and during those holiday breaks. You can find tips on helping to establish routines, along with many others, on TomaLeche.com. 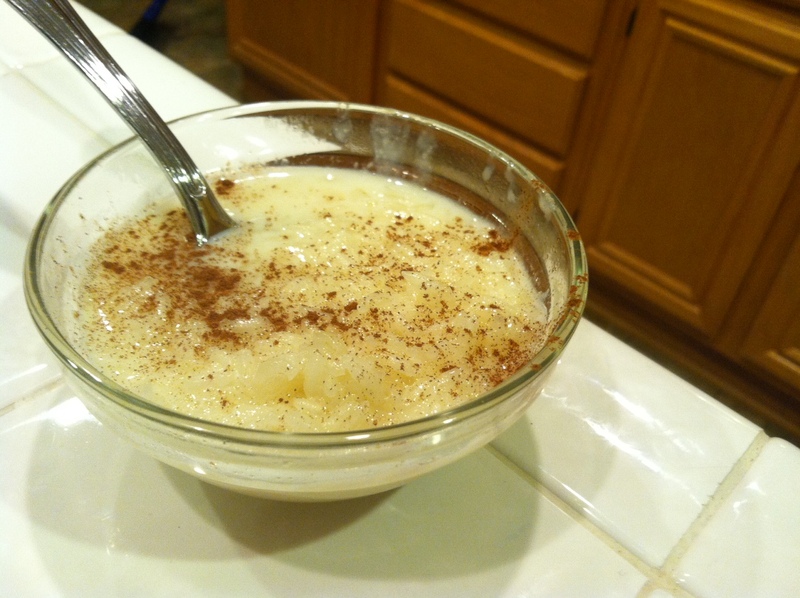 You can also find dozens of delicious recipes, including this one, which is my absolute favorite, arroz con leche. It takes me back to my childhood and is one of my to go comfort foods. It’s also really simple! When the rice is almost cooked, add the sugar, milk and cinnamon stick. Let mixture boil until rice is soft and fully cooked. Serve and garnish with ground cinnamon and raisins. To find this and other delicious recipes head here. This entry was posted in Uncategorized and tagged tomaleche. 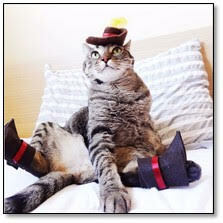 Instagram cats – Hamilton the Hipster Cat and KimchiKitty – are so excited for the launch of Puss in Boots, they’ve dressed up as the greatest feline fighter himself. The all-new Netflix original series The Adventures of Puss in Boots is now streaming! 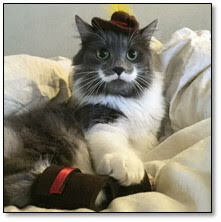 Puss In Boots is now starring in his very own new Netflix cartoon series. Join him as he attempts to undo a spell and fight off villains in the town of San Lorenzo. Netflix has been amping up their original programming for all ages in the family. Last year saw the premiere of Turbo: Fast and there are now numerous programs for older audiences. The more audiences watch these programs, the more quality programs will come to Netflix. 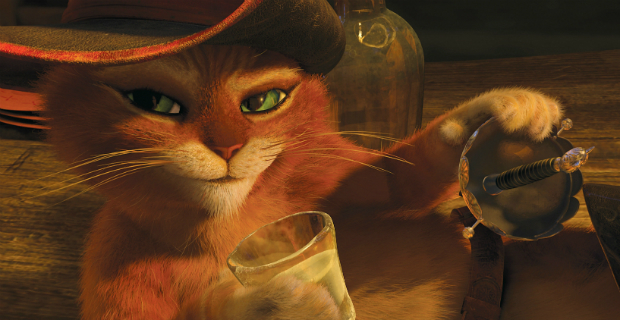 You can watch The Adventures of Puss In Boots now! Start planning some weekends and trips down South. During the month of February, over 45 museums and attractions have partnered up with Macy’s to provide half price admission to visitors and San Diego Residents. 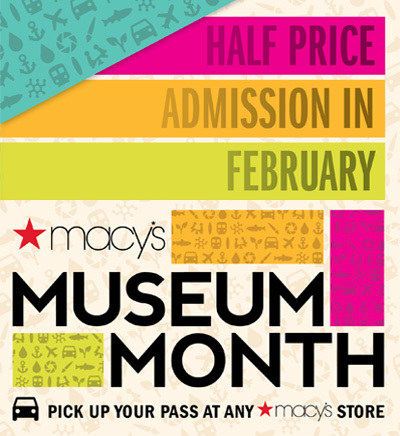 To take advantage of this awesome promo, you must pick up a Museum Month Pass at any Macy’s store in San Diego, Temecula or Imperial Valley. The Pass is free and one pass is good for up to four half-price admissions at each museum so you can take family or friends, too. Keep the Pass and use it all month long! Here is a list of some of the participating museums. We had the opportunity to check out the Birch Aquarium Saturday, after not visiting for a couple of years and had so much fun with the kiddos. Make sure to take advantage of this sweet deal! To learn more about Macy’s mUseum Month head here.